Every year about this time, I long for the green of spring. It is an itch I need to scratch. Bad. And yes, I realize that as a resident of Northern California I ought to be the last person whining about winter, but I cannot help it. It’s not the weather so much as it’s that I need a break from heavy stews and braises, at least for now. And because I do live in NorCal, I can scratch my itch even in February. We’ve had a warm, dry winter. Every little bit of rain we get is welcomed. This year we all have reverse seasonal affective disorder: When it’s gloomy and rainy, we’re happy. It means we get to drink water this summer. 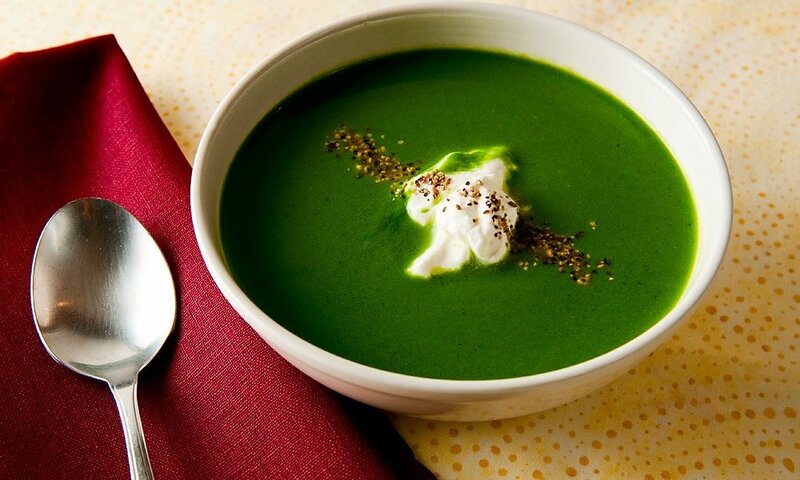 Spring rains transform our grassy hillsides into what seems to be emerald suede — not unlike this nettle soup. Anyone who knows me knows that I am in love with smooth soups. Elise and I have made lots of them over at Simply Recipes, and one of our favorites is my Provencal fish soup. Every year around February or early March we go to a farm in the Delta where dwarf nettles grow as a weed; my friend Josh has permission to forage there. Dwarf nettles, Urtica urens, don’t have nearly as nasty a sting as Urtica dioica, which is the standard stinging nettle. These are more dainty, more civilized. But dwarf nettles, at least in this part of the world, can carry a very faint fishy aroma. This aroma is easy to mask in normal cooking, but I will often pair fish with dwarf nettles anyway — go with the flow, right? Sometimes I skip the fish, though, and use a russet potato instead. The easiest way to pick any nettles is to wear heavy garden gloves. Grab the top 4 to 8 inches of the plant, twist and yank off the tops. Josh is more methodical, snipping everything down to a part of the stem that has a little red on it; Once you get to that part of the stem, the nettle is too fibrous. Toss the nettles into a paper grocery bag and you’re good to go. I’ve written a lot about processing and cooking nettles, so I will direct you to that post if you have questions. I’ve made nettle pasta, and I’ve made nettle pesto and a whole bunch of other things, but I like nettle soup every bit as much. 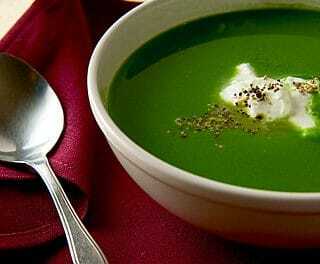 Everyone seems to have a nettle soup recipe, however, so I decided to make mine a bit different. I combined the technique of the Provencal smooth soup with the flavors of the nässelsoppa, a Scandinavian nettle soup. It was exactly what I needed. 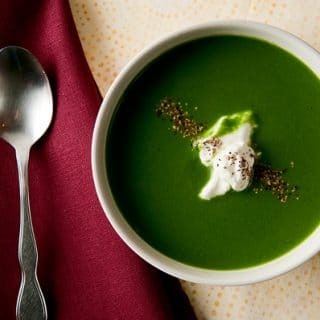 You cannot get any greener than this soup, and the flavor was warm, smooth and alive — bright, clean and briny. A perfect herald of spring. This is a mashup between a traditional Swedish nettle soup and a smooth French-style fish bisque. Any lean, white fish works here. Don't use an oily fish. Or skip the fish and use a potato to thicken the soup. If you don't have nettles, use a 50-50 mix of parsley and spinach for a similar effect. The greenery must be blanched before you use it in this soup. You can buy frozen, cooked spinach, but you'll need to blanch parsley for 1 minute in salty, boiling water before shocking it in an ice bath. Nettles need anywhere from 30 to 90 seconds in the boiling water. Cook the onions in the butter over medium heat until they are soft and translucent. Add the garlic and cook another minute. Pour in the stock and add the thyme, nutmeg, salt, fish (or potato) and nettles. Bring this to a gentle simmer and cook for 15-20 minutes. You want the nettles to be very tender. When the nettles are ready, taste the soup and add salt and nutmeg if it needs it. You want to be able to pick up the nutmeg in the final dish. Puree the soup in a blender. You might need to do this in batches. If you want to get fancy, push the puree through a fine-meshed strainer. Put back on the stove just to warm through. Serve with a dollop of sour cream and some black pepper. Don't want to use fish here? Skip it and use 1 large, peeled russet potato instead. Oh, and you don't have to strain the soup after pureeing it. I do because I like refined soups. It'll be fine right out of the blender. 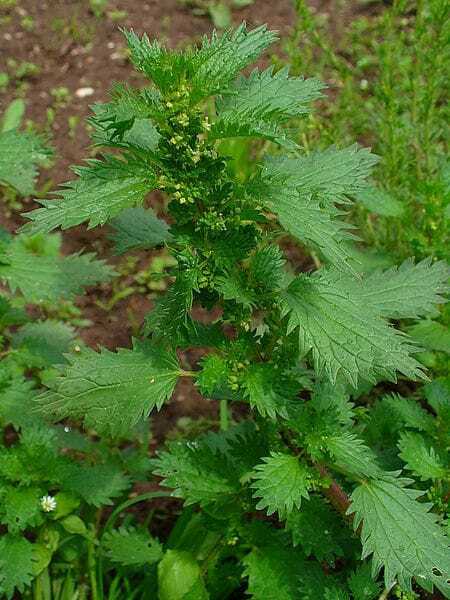 You can find all sorts of recipes for nettles and other spring greens here on Hunter Angler Gardener Cook!